Do you love working with kids? 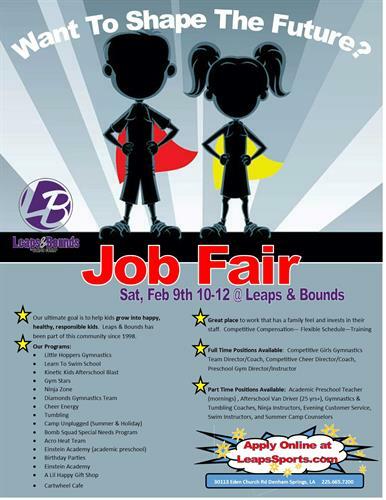 Come check out Leaps & Bounds Sports Center! You will never find another job environment like this. Our mission, our one thing, our reason to show up is to help grow kids into happy, healthy, responsible adults. We are looking for self starters that get a kick out of teaching others. We have full time staff, part time, and seasonal staff.